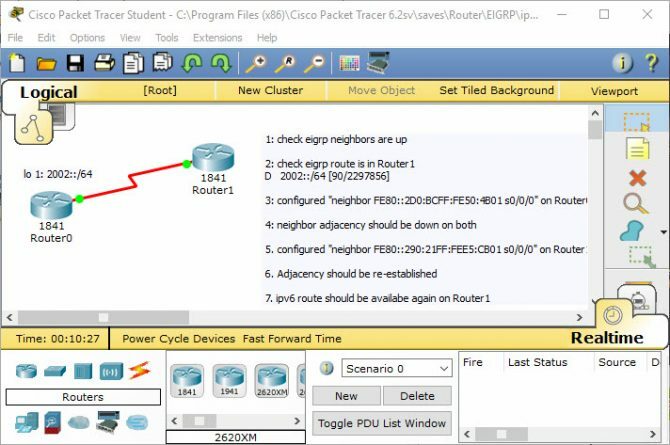 Cisco Packet Tracer is a software in which you can simulate the complete network by adding and connecting different network devices. Cisco Packet Tracer is a competitor to the open source GNS3 and Bosan NetSim. The biggest advantage of Cisco Packet Tracer over its competitors is that it has been released by Cisco. It is not free and is only available for students and instructors who have attended Cisco Networking Academy. Wired sniffer with repeater functionality has been added. There are a few known ASA 5505 firewall bugs but they should not be a major concern. These bugs only affect ipsec configuration. If you are concerned then you should be looking for Cisco Packet Tracer 7 which is also under way of stable release very soon. You can also download Cisco Packet Tracer 6.1.1 with all the tutorials for preparing your CCNA and CCNP exam. i just want to download it. its very nice application . I’m downloading the packet tracer. Let’s see how it works. I haven’t tried the cisco packet tracer yet! I just want to download it. Good for all Cisco networking Student. I want Cisco Packet Tracer 7. Are there any download links for that version?